1. “First contact with the group opens completely new vision of the surrounding reality” – check. For PiS this means an alternative version of history, where the Round Table negotiations and communists giving up powers to the post-Solidarity movements was just a smokescreen. 2. “The world-view of the sect is very simple and explains everything” – check. For PiS so called “układ” – the system of the former communist functionaries and their descendants, servants and foreign allies, that acts against Poland, is responsible for all evil. 3. “Everything that was missing elsewhere is in this group” – check. Even the name of the party – Law and Justice – carries exactly this message: There is no Law and Justice in Poland and only we can change it. 4. “Group is led by charismatic guru, who is the only one to know the whole plan, had unlimited power and is worshipped like godlike figure – check. Jarosław Kaczyński has an unique position, without any formal state function he remains superior to president and prime minister. Their chaotic behaviour that is then on some occassions corrected by Kaczyński divine intervention, proves, that they were not made familiar with the whole plan. And then goes that chanting “Jarosław, Polskę zbaw” – “Jarosław, save Poland” that can be heard often during the party followers meetings. 5. “World heads towards disaster and only the group can save it” – check. PiS is often portrayed not only as the saviour of Poland, but also as defender of Europe from migrants and leftist ideology. 6. “The group is an elite. Other people are sick and lost” – check. “Signal sent by Waszczykowski should be understood by those, who are capable to see how the complicated matter of reality is weaved and can spot the threads implemented there by enemies of the Western civilisation” – says Łukasz Warzecha, one of the PiS apologists, in his commentary to the famous Waszczykowski’s interview for German Tabloid in which he proclaimed fight on cyclists and vegans. In other words: if you can’t see that Waszczykowski is right, you don’t understand nothing. And so on, and so forth. PiS ticks the boxes for nearly all of 17 points of the list, and my examples above are just random ones of many, many more. Comparisions between PiS followers and religious believers can be drawn also from the fact, that they will go very far trying to explain why obvious contradictions in their official teachings. They are prone to arguments, as they reject all thinking that is not in line with party guidelines (that ticks the box of point 8 from anti-sect leaflet). As a result, the other side finds discussing with PiS followers futile and, being powerless against radical changes introduced by PiS government, they become more and more frustrated. From within PiS sect, other people are seen as those who are still to attain enlightenment. They fail to see the truth, as their minds are brainwashed by regime media and lefty publicists. They are called “lemmings” because of the cliché of lemmings following the flock only to jump the cliff to their own demise. 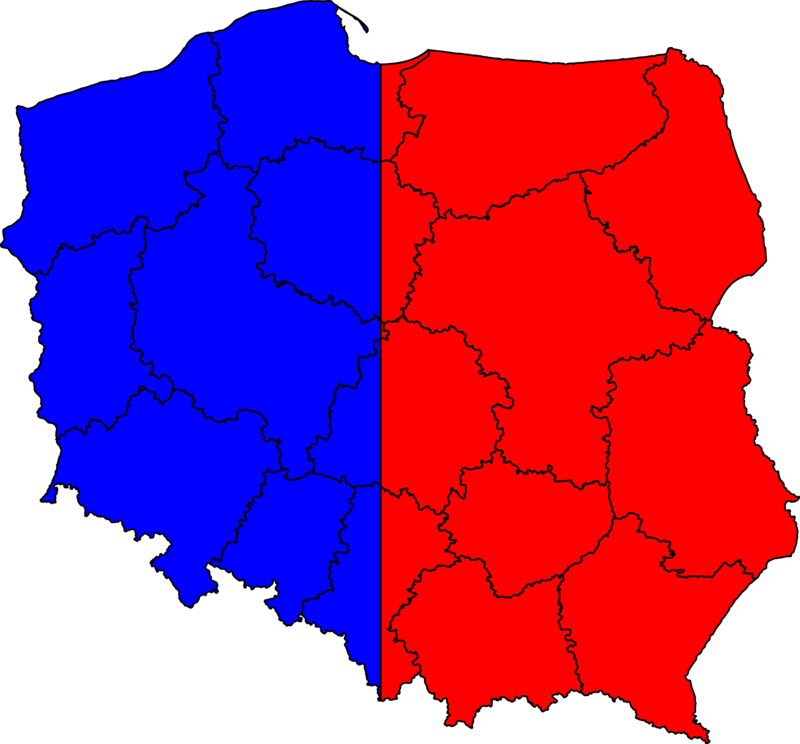 In the past I described public discussion in Poland using this allegory: the country is like a football field divided by the wall, and people on both sides of the wall throw stones at each other. Both sides are unaware, that while they are able to see only the wall in front of them, there are in fact two walls with non-radical people filling the space between them. Those are to scared of flying stones to stick their heads out, and so the whole discussion is carried only by people at the extreme ends of the fields. I am afraid that this allegory no longer works. As PiS pushes forward, people from the space between the walls had to take sides. Some joined the ranks of its believers, others run to the opposite side, but PiS still uses old cliché of “If you are not pro-PiS, then you are supporter of the compromised Platforma Obywatelska”. This is of course not true, but since main defence line of PiS followers confronted with their party wrongdoings is “Platforma was doing the same!”, it still comes handy. The rational discussion is becoming an endangered species in Poland. Only decade ago, it was our national sport, politics was discussed on family gatherings, in trains, at the park benches and forum.gazeta.pl was the biggest internet forum in Europe. Things has changed drastically. Political topics are now avoided during family meetings to avoid noisy quarrels. Talking to strangers has become dangerous as walking the minefield. Internet (and real world as well) has been divided into smaller and bigger bubbles of people of similar political views. The only inter-bubble travel is undertaken by PiS-followers and other right wing people, but it’s rarely in order undertake real discussion, i.e. to try to confute others with arguments. The new national sport on the right now is “masakrowanie lewaka” (“hacking the lefty”). Internet is flooded with supporters of PiS attempting to score some points in it, although it’s hard to tell how many of them are trolls paid to do so by PiS. This new form of “discussion” can be seen not only on the internet, but also in television and in radio, when right wing experts or politicians don’t even listen to the other side. The points are gained by dropping some bomb (usually prepared earlier) that would knock the opponent of the balance even for the moment. Such moments are then edited out of the whole program and short clips showing moments of “hacking the lefty” are circulated on youtube and right wing internet with titles like “Y masakruje X” or “Y zaorał X”. On social web pages dominated by right, for example wykop.pl, such clips are amongst the most popular, along with the lengthy lectures of right wing publicists or politicians, that are widely watched, discussed and commented. 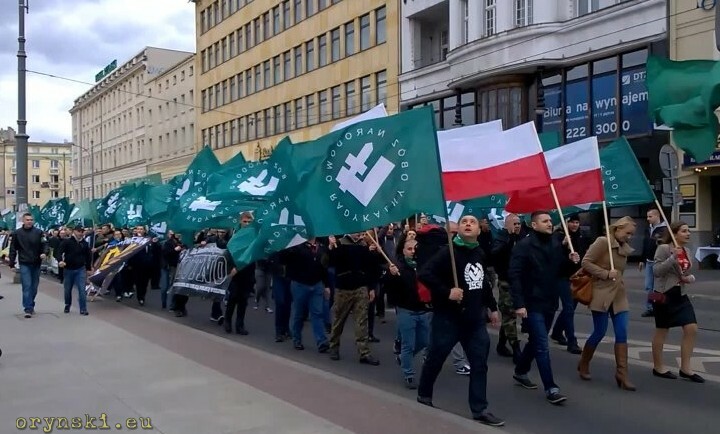 Nobody seems to be interested with arguments of the other side, the narration of the protest movement KOD is for example completely discarded, as KOD is branded as group of traitors who simply attempts to defend their privileges. The few remaining supporters of KOD are victims of regular abuse and hat speech. The mere fact that they criticize PiS’ actions just proves that PiS is doing the right thing (that happens to tick yet another boxes on our sect-recognition check list). This not only makes any discussion impossible, but also cast a shadow over lives of many families. In my own family my aunt, who’s married to PiS activist, accused my mother of brainwashing my grandmother, as she cannot believe that their mother is not supporting PiS. In the past I was also on many occasions forced to listen to her lecturing me that “I am simply too young and too stupid to understand, that Kaczyński is the true statesman and the only hope for Poland”. Obviously I am now considered to be a lost case, as after last desperate attempt to convince me to “come to the light side”, my aunt no longer speaks to me. And this is not the exception, it’s not even particularly extreme case. Families are destroyed all over the country as if the invisible wall was build across them. Such divisions are not limited only to Polish politics. Equally impossible is to have any discussion on the migration crisis, place of Europe within European Union or the role of the Catholic Church in the state, virtually any topic that PiS has a clear opinion of. And there is no hope that some person of authority will come and reconcile the nation: there is not a single person that remains an authority to both sides. Polish intellectuals, who don’t support PiS become targets of aggressive hate campaigns, sometimes virtually overnight, as it was the case of Jadwiga Sztaniskis, who initially supported PiS government but now says that things have gone too far. The authority of Pope John Paul II suffers from the association with Catholic Curch, shaken regularly by some new scandals. Current pope is often seen as a “leftist agent in the Church” and many Polish “catholics” can’t wait to see him go. Even Lech Wałęsa, an iconic figure and symbol of the fight with the communism is now being smeared and abused in all ways possible, as some new documents regarding his cooperation with the secret police in early 70’s have emerged (not that the fact of this cooperation is anything new, it was well known since 1980’s that he has some dealings with the secret police and it’s highly unlikely that the new documents will prove absurd accusations that he continued to be an agent right until 1990s). Following Polish debate nowadays is like watching Richard Dawkins debating some islamist fanatics. Dawkins fans get frustrated, Islamists hate him even more. Maybe someone undecided could be convinced one way or another, but Poland is so divided now, that there is almost noone left in the middle ground. Some Poles hope, that if things will contunue to go bad, PiS will loose some of it’s followers. So far, first 100 days of Beata Szydło government turned out to be a disaster. Not a single promise was delivered, a “file full of laws ready to be introduced” that she was boasting about during the campaign so far seems to contain only projects that lead to destruction of democratic institutions. The civil service is being dismantled as all significant positions in the country are now being filled with PiS people, who often lack relevant experience or qualifications. Purges are going so far, that even director of the famous Arabian Horses Stud, who worked there since 1970’s and who is an worldwide renown expert, was replaced overnight after 16 years in director’s chair by a guy, who says “I can already see, that this can become my passion. I always liked horses, but I never had so close dealings with them”. The moods are grim, but despite all that, the support for PiS is still strong. Those, who hope that this term of the government will be just unfortunate fluctuation in march to the better, democratic future, might be heavily disappointed. Many Hungarians counted on that as well when Orban get to power. And today, the only real choice for them is between Fidesz and Jobbik. This might be the case in Poland as well, as the left is in disarray, the parliamentary opposition is weak and the extreme right parties are gaining popularity amongst young people. But even if the country won’t follow the Hungarian example, unless Poles find their way to reunite themselves and to make discussion possible again, the pressure in divided country will rise to the dangerous level. Is fuelling hate in Poland PiS’s way to toughen its power? Landscape before parliamentary elections in Poland What can be expected in Poland in the oncoming election year? 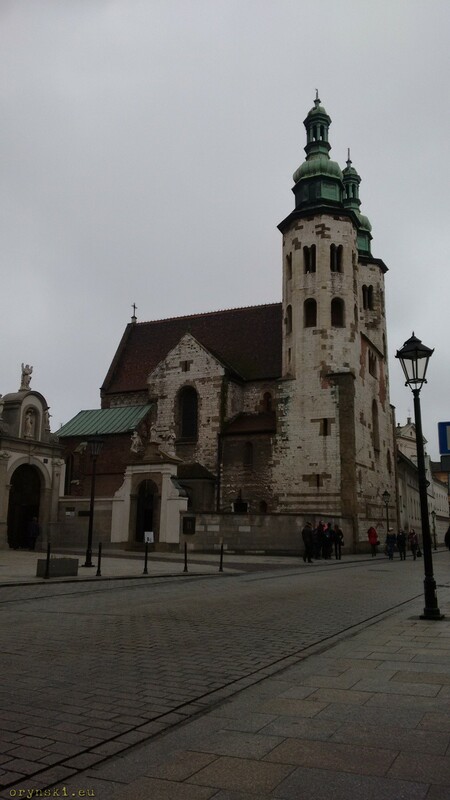 Is Poland really a Catholic country?